A composite media specially formulated for use in coatings to provide an anti-skid surface. It leaves a textured surface that is highly abrasion resistant with excellent durability. 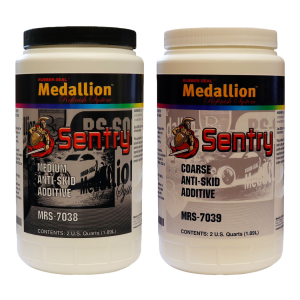 This product is specifically design to be used in Sentry Bedliners to improve grip on high-traffic areas that are prone to be slick.